We like to illustrate our work with real stories of children. In the interests of confidentiality we always change details. We also do not use the stories of children who are still with us. Many stories are similar. Abi is a 12 year old girl, originally from Mozambique. The child concerned and her older sister appeared at the gate at Ons Plek reporting that their biological mother had disappeared leaving them alone. The sister claimed she was 15 and that both of them had been left without any means of support. Both children were admitted on 04/07/2012. The case shows how very difficult it can be to obtain even the basic underlying facts. Our social worker contacted Cape Town Child Welfare to get an area social worker to conduct investigations around the children’s circumstances. We learnt that the children and their biological mother had already been seen by a social worker the previous week. The biological mother had approached the social worker saying she had no accommodation and was worried about the safety of her two teenage girls in the community. The social worker had said she would conduct a visit to the community. The social worker was therefore surprised that the teenagers had ended up at Ons Plek by themselves. She did not believe the story that the mother had disappeared leaving her children. She had probably sent them to Ons Plek herself. 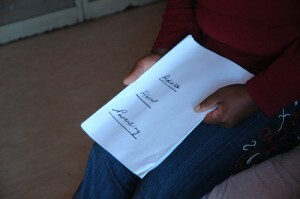 Ons Plek staff started an investigation with the children in order to get the truth. 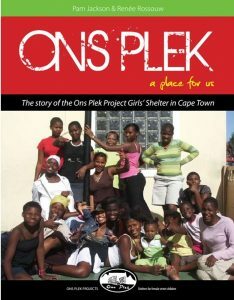 The older sister absconded within the first week leaving Abi in the care of Ons Plek. Nothing could be done about the 18 year old sibling since she was an adult according to the Children’s Act. Children’s Court proceedings were opened for Abi who was placed on detention orders pending investigation. The child concerned was very difficult to speak to and when she did speak she was very vague. She hated interviews and working with her was challenging. Ons Plek staff explained to her that in order for any meaningful intervention to happen the child had to open up and trust someone. She later said that her mother had not abandoned them; she had gone to look for a job in George. She reported that her biological father passed away 2 years ago and she and her siblings had been in the care of the mother. The mother had recently had problems paying rent and therefore she had to leave to look for a job to take care of the payments. She reported that there was a maternal aunt in Phillipi that they went to for help and had been staying with her temporarily. A home visit was conducted to this maternal aunt but she acted as if she did not understand English. After two months the biological mother she appeared at Ons Plek. She reported that she had come to get the child’s signature for some documents. She said that her late husband who is the biological father of Abi had left two cars in her name so she needed the child to sign them so that they can sell the cars. She said she never abandoned her children, they knew she had gone to George to settle her late husband’s estate; she left them in the care of her sister. She could not explain how the children had then ended up at Ons Plek. 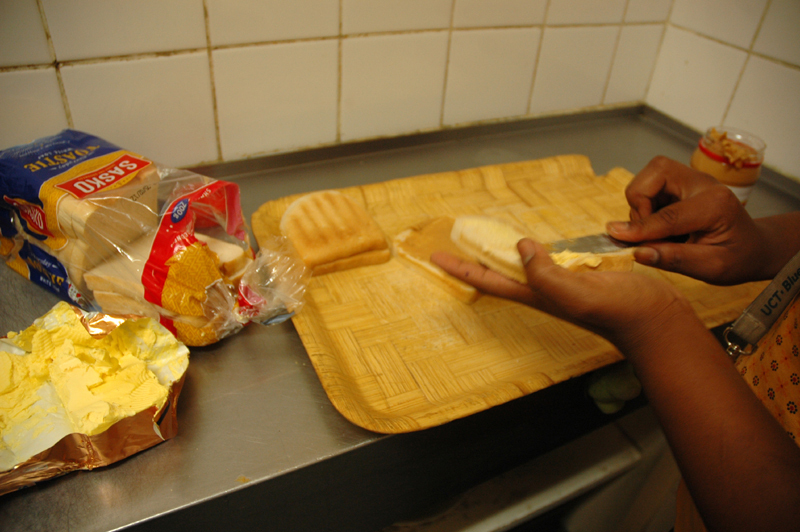 The mother reported that she has been working for years in MosselBay. It became evident this family was dishonest and it was not clear what kind of intervention they needed from Ons Plek. It was explained to the biological mother and external social worker that there was no valid reason why the child concerned was in a children’s home. The child was not abandoned, abused or neglected in any way. She was not in need of care. There was no reason why the biological mother could not leave with her child that same day. However the child concerned totally refused to go with her mother. It then became clear that there was no relationship between the child and her biological mother. This gave rise to more questions about the child’s background. A man contacted Ons Plek claiming to be the uncle of the child from George. He gave was the same name the child had given for her late biological father. The “uncle” said that he would be coming to fetch the child concerned, he had just heard she is in a children’s home and was so upset this had happened. He was invited for a formal meeting with our social worker. The biological mother was informed of this meeting and was furious to hear about this “uncle”, she claimed she did not want anything to do with the child’s paternal family. The child was confronted about the fact that her uncle had the same name as her late father. She said that was not her uncle but her step father which is why she had given us that name. When she was asked what the name of her real father was she said she did not know. The whole truth was revealed the day of the meeting. The “uncle” reported that he is actually the biological father of the child concerned. He had phoned as the uncle because he wanted to find out what was going on first. The father reported that he had raised the child concerned until last year when he had to go to Burundi for a short while. He had asked the biological mother from whom he is separated to take care of the child for a few months until he returns. He was surprised that she had failed to do. Abi was confronted about her lies in front of the father, she said her mother had told her she is not interested in taking care of her and she and her sister should find somewhere to stay. She had been told to say her father was deceased so that she gets help from social workers. Abi confirmed that her father raised her and that what he said was true. The father produced proof of his identity and the child’s records from school and Home Affairs. The father wanted his child to go back home with him to George. The matter was finalized at the Children’s Court on 06/12/2012. The child went back to George with her father and has resumed school. The biological mother did not even appear in court and there has been no news from her since.